How Far is AK Maxx Model Village? Residential sites, Near agarwal bhavan hotel, Tumkur road, Avrahalli village, Bangalore north. Gram tana (Purely gram tana sites-Ready for constructions). A new project by AK Maxx Properties offers plots with size varying from 1200 - 2400 sqft. It is among the ongoing projects of its class. 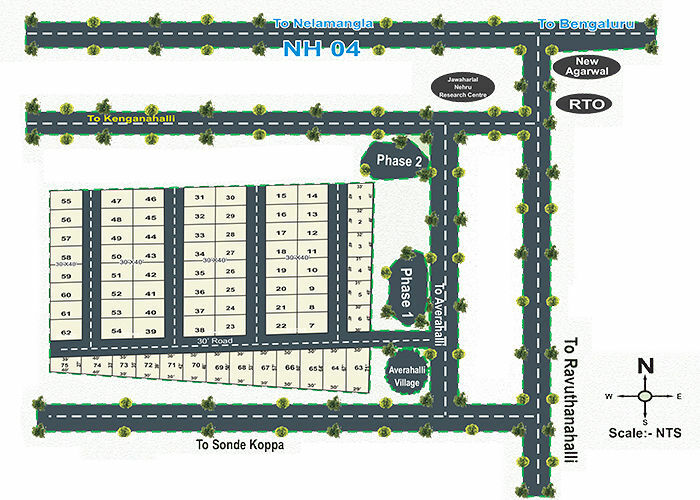 Layout is near School, Colleges, Hospitals.